Mark R. Isfeld Interact Club continues to ROCK!!! 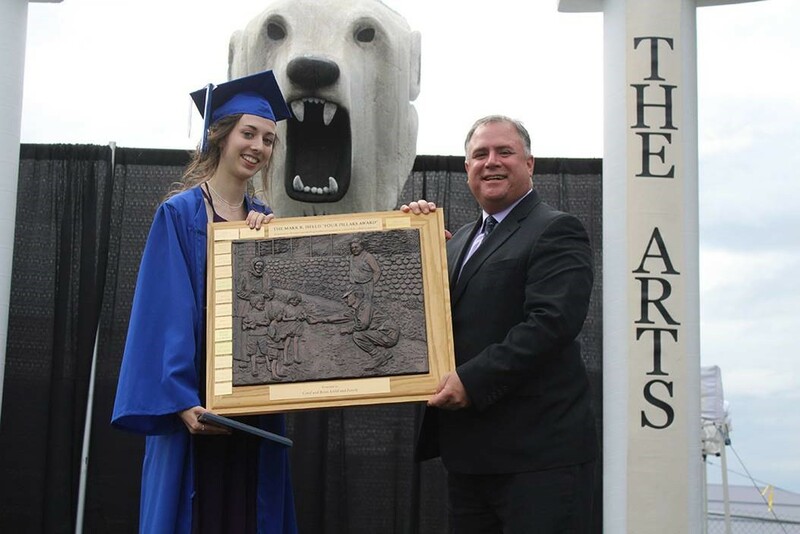 Each year, Mark R. Isfeld Secondary School presents one award to one student, the prestigious Four Pillars Award. This award is presented to the Grade 12 student who is the most outstanding in academics, citizenship, athletics, and arts. The field was narrowed to 5 finalist including past Interact Co-President Kalyssa Heinrich with the award going to past Interact Co-President Alyssa Erikson! Congratulations Alyssa! The picture below was featured in the July 3 edition of the Comox Valley Record Newsroom.